The new Sky±HD 2TB box has revolutionised the way we watch TV, and can record up to 1180 hours of standard TV, or up to 350 hours of HD TV. You can now pause, rewind and record live TV, along with being able to also record entire series at the touch of a button. Revel in the TV you love in stunning high definition when you have Sky Entertainment Extra± and now it’s even easier to connect to On Demand and get the best features, including our new Search with built in Wi-Fi; Wi-Fi will only work with a VPN connection for use outside of the UK, if you won’t be connecting to a UK telephone line. Entertainment in dazzling HD: Choose over 50 HD channels when you take Sky Entertainment Extra±. Sports & Movies in HD: Savour up to 71 HD channels if you have Sky Entertainment Extra±, Sky Sports, Sky Movies and the HD Pack. Record your favourite programmes: up to 1180 hours of standard TV, or up to 350 hours of HD TV. Savour every detail with up to five times more picture detail, dazzling colours and superb sound clarity. 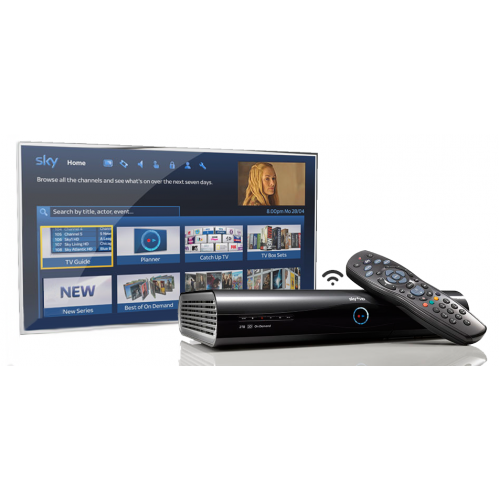 TV whenever you want it: Connect your Wi-Fi enabled Sky±HD box to any broadband router to unlock On Demand. Wi-Fi will only work with a VPN connection for use outside of the UK, if you won’t be connecting to a UK telephone line. 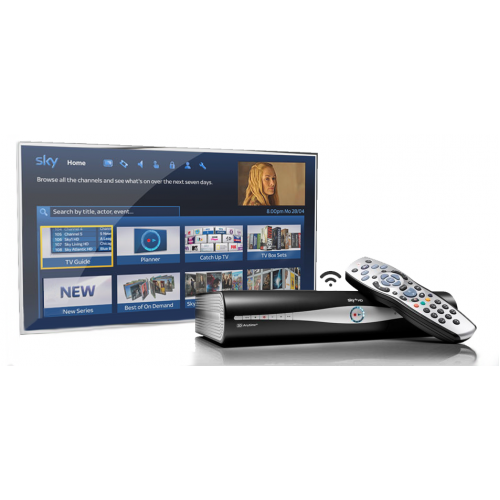 3D ready: Amazing Sky 3D at no extra cost with a Sky HD subscription.